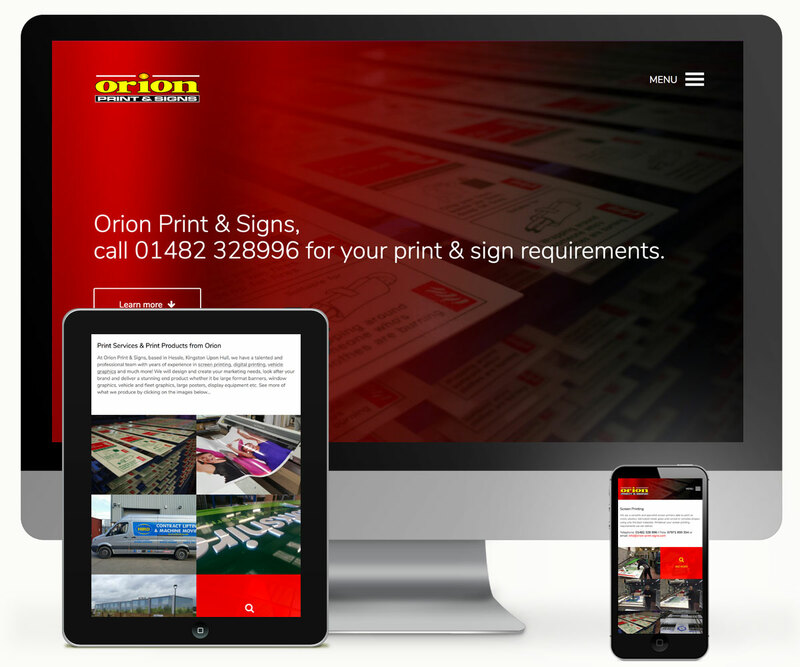 Orion Print & Signs Website - 939 DESIGN, Hull, Yorkshire. Orion Print & Signs, based in Hessle, Kingston Upon Hull, have a talented and professional team with years of experience in screen printing, digital printing, vehicle graphics and much more! They will design and create your marketing needs, look after your brand and deliver a stunning end product whether it be large format banners, window graphics, vehicle and fleet graphics, large posters, display equipment etc.